The long eighteenth century is a crucial period in the history of ethics, when our moral relations to God, ourselves and others were minutely examined and our duties, rights and virtues systematically and powerfully presented. 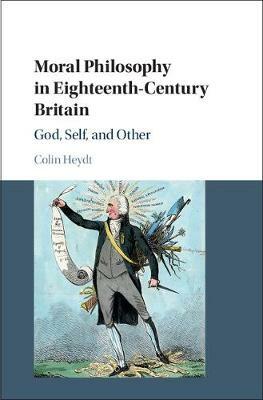 Colin Heydt charts the history of practical morality - what we ought to do and to be - from the 1670s, when practical ethics arising from Protestant natural law gained an institutional foothold in England, to early British responses to the French Revolution around 1790. He examines the conventional philosophical positions concerning the content of morality, and utilizes those conventions to reinterpret the work of key figures including Locke, Hume, and Smith. Situating these positions in their thematic and historical contexts, he shows how studying them challenges our assumptions about the originality, intended audience, and aims of philosophical argument during this period. His rich and readable book will appeal to a range of scholars and students.